Fancy raving the roof of one of Paris's most iconic buildings? La Boumette is back! 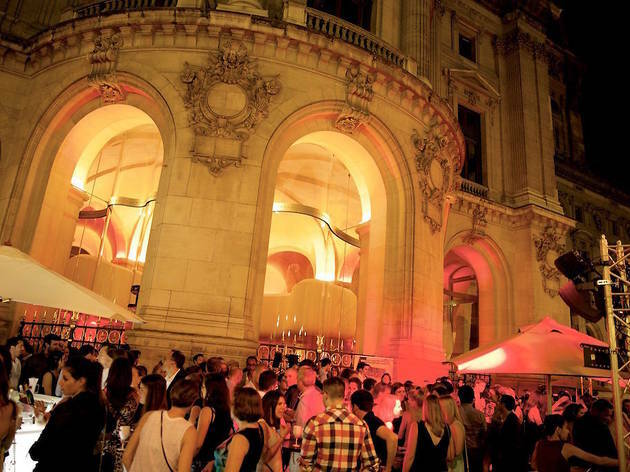 For the fifth year in a row, the pop-up party returns to Paris's moumental Opéra Garnier. Every Friday & Saturday night until the end of September, the space surrounding the Opéra transforms into a summer club when the sun sets. La Boumette is open for partyseekers from 10pm through to 5am. There are both two ephemeral spaces; inside, where a trendy crowd bop to disco-funk, and a semi-covered terrace. 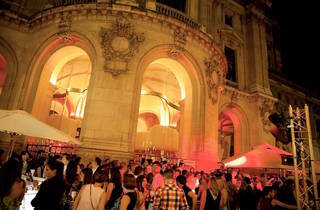 Whet your whistle at the pop-up bar La roseraie de l’Opéra by Cointreau and snack on some classic French galettes. To party in an unrivalled setting, of a colossal 800m2, La Boumette is where you should be heading this summer. For more information and to let your friends know where the party's at, check out the Facebook event. La Boumette at Opera Garnier is open Fridays and Saturdays from 10m - 5am until September 24, 2017.